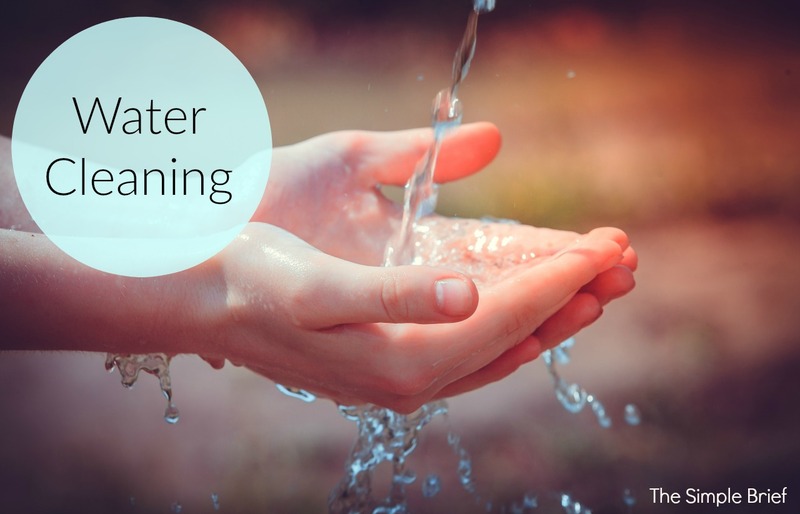 There is probably nothing more minimalist than cleaning with water! Nothing to leave the house to buy. The best for health. Affordable. Let’s examine the possibilities. Our parents spent a great deal of money on fancy cleaning products, only to find that the chemicals they were bringing into their homes to breathe were more dangerous than the germs they were eliminating. The pendulum has swung, and now many women are buying green products, especially after having a child, or are making their own. I do NOT advocate making your own detergents and soaps. DIY is not minimalist, as you end up with many products to make each individual product, and it’s time-consuming and often frustrating when things do not pan out. Pare down, then few products remain to be bought. The one exception is all-purpose spray, since it is easy to make. Our current problem is that we are still driven by advertisement and celebrity in regards to cleaning, even if it is “green.” We have replaced most all the products our parents had with green versions, instead of questioning if these things are necessary. Many tests conclude that 95% of the chemicals we use at home and in hospitals can be safely eliminated by cleaning with water alone. I remember when laundry balls were the new green craze. Miraculously, these two balls thrown into the wash would last for hundreds of loads, saving you loads of money. The reason this actually worked is because green detergents do very little. What really gets our clothes clean is the force of the washing machine or our hands and water. This is fine with me because I do not work in the fields, and my clothes do not need to be stark white. However, the point is that many Americans use far more laundry detergent than necessary when they do use it (i.e., a capful) and far more cleaning products than necessary in general. It is normal to use scented detergents and other unnecessary laundry things (like fabric softener, artificial heat, and dryer sheets, all shortening the life span of our fabrics). You may not be able to line dry all your clothes, but I encourage you to start small and just go unscented as much as possible. Hang just the things that always shrink on hangers. Cleaning is primarily to alleviate allergies, to provide clean air. The aesthetic is secondary. The biggest enemies on this front are (1) dust and (2) mold. If we are trying to keep our houses fresh and bright to reduce allergies and increase air quality, it behooves us to add artificial scents, exacerbating allergies and skin conditions. Wet one very thin cloth (not paper towels and not thick cloths, as they will shed). A very thin dish towel or microfiber towel works best. Wipe mirror. Then wipe it a second time with another thin cloth. The second category of cleaning is regarding mold. Mold covers ONLY areas that are regularly wet: kitchen and bathrooms. The less bathrooms, the easier the task of cleanliness. How to tackle mold? Keep up with it weekly. Use a coarse bristle dust brush and an all-purpose spray (or just use the soap that is going down the drain while you’re showering). Buy solid products and put them where they’re easy to access. Almost everything in your house can be cleaned with just water. If we stay on top of things as best as we can (light wiping and dusting) and view cleaning as therapeutic and athletic, then even baking soda will become overkill for most tasks. We can find the silver lining in everything, especially the mundane. There is joy in cleaning, and my old self would have laughed at that. But I’m here to tell you it’s true. Nothing is better than free exercise and a sparkling house. Don’t do it yourself. Buy the few items you need. Do not worry about getting ratios of vinegar to water just right. Use primarily water to clean. Wipe counters down as they get messy. Own as little fabric as possible. Keep floors, furniture, and cars as light of a color as possible. Keep as few things out in the open as possible. More things in the open = more things to dust. The few things that need something stronger even if kept up with daily: counters after handling meat, drains, toilet. If you’re still not ready to give cleaning with water a go, why not meet at the halfway point and fill your spray bottle with 50/50 water and vinegar. You will be surprised at how easy things are to clean with such a simple solution. Love your blog and YouTube channel. Well done. I only use one all-purpose cleaning product for 90% of my cleaning. “Cuppa-cuppa-cuppa”. One cup water, one cup vinegar, one cup rubbing alcohol. I add essential oils like peppermint and lavender sometimes for scent. That’s it. I can clean almost my entire house with it. I make a gallon (from the vinegar jug) and use it to fill two spray bottles — one upstairs and one downstairs. I keep the gallon ready under my kitchen sink for easy refills. It cleans almost everything! Thanks for all your great cleaning tips. I’ve read and watched a lot on the topic and you seem to give some of the best advice. Love the velcro idea. I used to use the Method spray too but now I’ve moved onto the Puracy all purpose spray, which works just as good but I think comes in better eye pleasing packaging.